Ingrown toenails aren’t just a concern because they’re painful, but also because they can easily become infected, especially if you try to treat them at home. 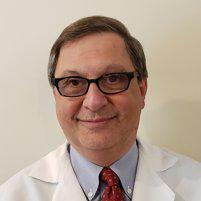 If you have an ingrown toenail, Philip Messenger DPM, PLLC, at West Side Foot Care in Upper West Side, New York offers flexible scheduling for ingrown toenail surgery that’s performed right in the office. To learn more about treatment options for ingrown toenails, call Dr. Messenger’s Upper West Side office to schedule an appointment today. While any of your toenails can become ingrown, this condition usually affects your big toe. You have a higher risk of developing an infection from an ingrown toenail if you have diabetes or another health condition. How is an ingrown toenail treated? It’s important to schedule an appointment with Dr. Messenger at the first sign of an ingrown toenail to reduce your risk of infection. Generally, ingrown toenails are treated with in-office surgeries. For moderate ingrown toenail complications, Dr. Messenger might need to partially remove the affected part of your toenail. Depending on your specific case, this procedure may require numbing your toe. In severe cases, Dr. Messenger might need to remove either some of your nail, or the entire nail, as well as some of the underlying tissue. This is done to prevent part of your nail from growing back so you won’t have to worry about having any future ingrown toenail issues. Dr. Messenger will instruct the patient on more preventable measures, for example allowing the toenail to grow longer and cutting the nail straight across. An X-ray is typically taken for reoccurring ingrown toenails to ensure that there isn’t a bone spur under the nail causing the condition. After the minor procedure, you typically won’t have any restrictions in activity. If you have an ingrown toenail, call or use online booking to schedule an evaluation at West Side Foot Care today.